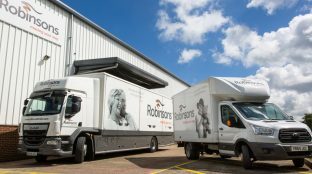 If you need a removals company in the Solihull area, Robinsons are the company for you. We’ve been helping families move around the UK for over 120 years, so we know that we’re the perfect company for you. We have branches all over the UK so we can help you move to anywhere you need to go. You can benefit from our expertise; if you would like advice regarding a new, unfamiliar area just give us a call. One of our friendly employees will be happy to have a chat and put your mind at ease. Call us today on 0121 745 3082 to discuss your requirements with one of our Move Managers. For a free, no obligation home-moving survey and quotation, fill in your details in the enquiry form above. One of our Solihull Moving Consultants will visit you for an informal chat about your upcoming move. If you’d like more information, don’t hesitate to speak to us directly: please call us, free, on 0121 745 3082 . We’d love to know more about you and your move.